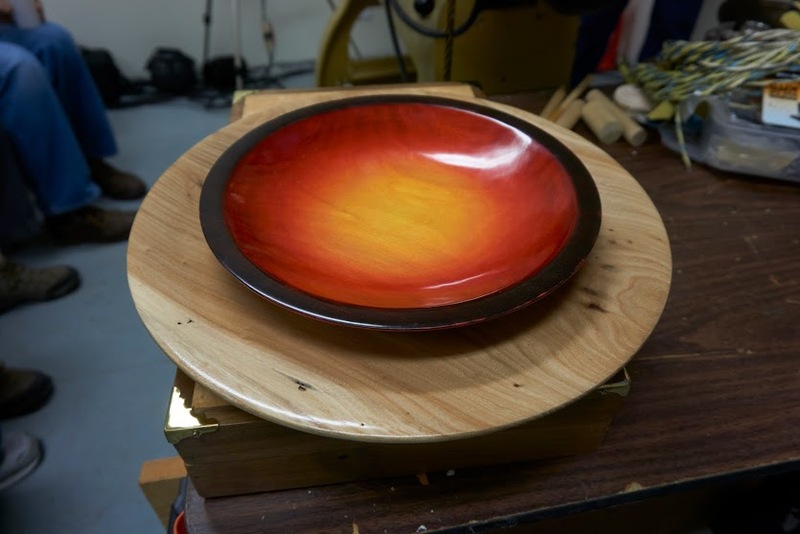 There are many advantages of being or becoming a member of the American Association of Woodturners. 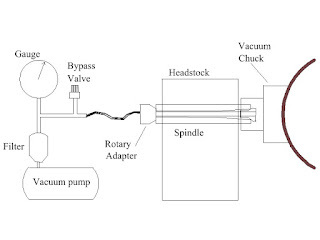 A Member can access Woodturning Fundamentals online and even print them out. I did that this month. As a turner that has has been at the lathe for almost 20 years I still see things in this publication that has been helpful. When one wants to build skills of learn how to create a project like Segmented items it helps a lot to be able to have reference material. Below are topics in the current or recent issues. You can take advantage of the Guest Turner Program at no charge if you are not a current member. The American Woodturner is published every two months with great article and photos of very creative projects. For non-members TAKE A FREE TEST DRIVE with an AAW Guest Membership! LEARN • The AAW offers the educational publications and services that woodturners need to become successful. AAW’s many resources, such as our award-winning American Woodturner journal, help members to learn, grow, and thrive. EXPLORE • Sign up for a free Guest membership at tiny.cc/AAWGuest (case sensitive) and experience a selection of AAW’s digital member resources for a full 60-days. Explore what we have to offer, kick our tires, and consider becoming a full-fledged AAW member to benefit from our complete portfolio of member publications and services. Thank you for your support for this effort. Well, it is almost time again for another meeting. We will be meeting on Tuesday, September 6 at 6:30 PM. However, for this iteration we will NOT be meeting at our usual venue. We will be meeting in Sun City, SC at Joe Giannina’s shop. Because of a lack of parking at Joe’s place, he is asking that we all park at the Sun City Wood Shop and he will shuttle us to/from the meeting. Directions to the shop are in the attachment. Car pooling is encouraged. Why are we doing this? 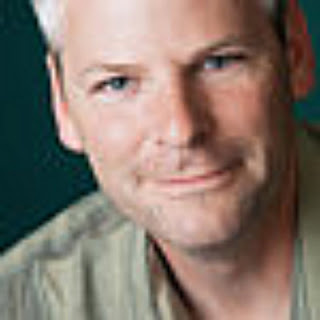 We have scheduled a remote session with Carl Jacobson of YouTube fame using Google Hangout technology. 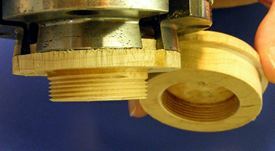 From his shop in Oregon, Carl will demonstrate the basics of spindle turning as part of our ‘back to basics’ program. There is ample room in Joe’s garage for us to watch the demo, but there is no seating so y’all must bring your own chairs. I will bring some chairs from Hunter House, but to make sure we have enough seating, it is advisable to bring your own. If you are planning to attend, please let me know ASAP. You will be able to ask Carl questions during the demo, so if you have questions about the techniques Carl is going to demonstrate don’t be shy. As usual, we will be holding a raffle and a show-n-tell of your recent works. If you have any turning-related items or wood you would like to donate to the raffle please bring it with you. Tickets are $1.00/ea. or 6/$5.00. For each item you donate to the raffle (up to three) you’ll receive an extra raffle ticket on the house. After the raffle is over, we’ll throw all the tickets in the hopper and draw for the Turner of the Month prize. If a lot of folks do a little work the club can grow. On the other hand, if only a few folks do a lot of the work the club will grow stagnant and those folks will likely burn out. So, to prevent the latter from happening here’s a reminder about the leadership opportunities for WWT: it is not too early to start thinking about becoming an officer or board member of WWT. Elections will be held at the end of the year for 2017 and will include the offices of President, Vice President, Secretary, Treasurer and board member(s). If you are interested in serving, contact Moe Gingerich, Ed Trevillian, Dave McKeithan or myself. You will be amply rewarded for your service. If you have any Beads of Courage boxes ready, please bring them with you so we can get them to the kids at Hemby Children’s Hospital. -Remember there never has been anything in the criminal code of North Carolina about making wood chips or sanding dust. You are very very free to make as many bowl, vases, lidded boxes, and Beads of Courage boxes as you like! The Constitution of the US also does not forbid your free expression of artwork on the lathe and in the shop. Be Inspired. Well folks, it’s almost that time again. We’re going to get together on Tuesday, August 2 at 6:30 PM. We’ll be meeting at the usual hangout place — Hunter House on Providence Road in Weddington*. As I noted last month, we are going to start a “Back to Basics” series of demonstrations. This month, Bruce Lacy will be showing us how to make a box on the lathe. He’ll be going over how to select the right blank, how to dimension the box and lid, the tools to use and his techniques for shaping and hollowing. This should be a really great demo. 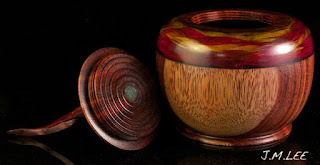 In the coming months we’ll be exploring other topics in the Back to Basics series:  spindle turning, bowl turning, small ornament/gift turnings and other demos. In fact, next month we will have a special program — Carl Jacobson of YouTube fame will be demonstrating spindle techniques. He’ll be joining us remotely for this demo. More info and details to come. Stay tuned. Don’t forget to bring items you no longer need - wood, tools, blanks, etc. - to donate to the raffle. For every item you donate (up to three), you’ll be given an extra raffle ticket. Tickets are $1/ea. or 6 for $5. After the raffle is over, we’ll throw all the tickets in the hopper and draw for the Turner of the Month prize. 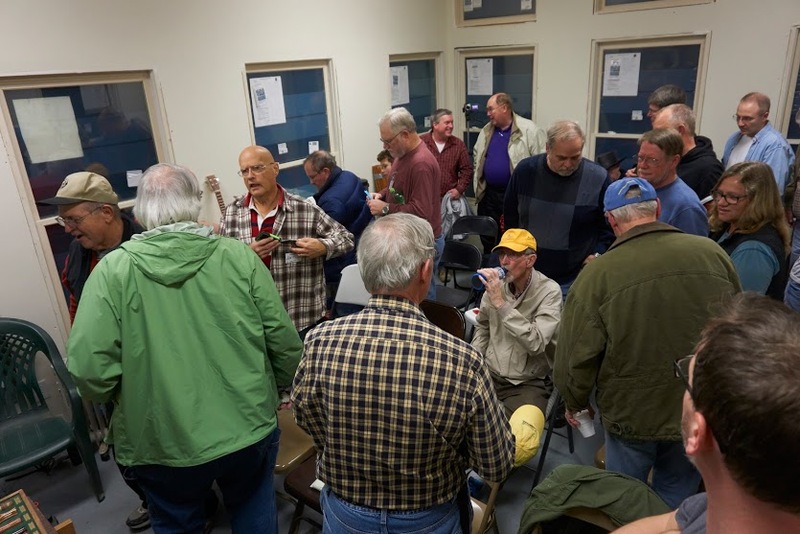 Come early to the meeting to share your turning stories with fellow turners and have a cup-o'-Joe or a soft drink and bring your latest turnings to share with everyone during the Show-N-Tell portion of the meeting. And here’s a reminder about the leadership opportunities for WWT: it is not too early to start thinking about becoming an officer or board member of WWT. Elections will be held at the end of the year for 2017 and will include the offices of President, Vice President, Secretary, Treasurer and board member(s). If you are interested in serving, contact Moe Gingerich, Ed Trevillian, Dave McKeithan or myself. You will be amply rewarded for your service. *Hunter House is located at 13428 Providence Road in Weddington (Use Matthews as the city if using a GPS). It's almost that time again. We will be meeting on Tuesday, July 5 at 6:30 PM. As per usual, Hunter House is the venue. This time we'll be entertained by the duo of Rick Erexson and Gary Janes who will discuss and demonstrate their shop-made hollowing rig. This demo should be a really useful one as we'll be able to see how an inexpensive hollowing rig can be made in our own shops. 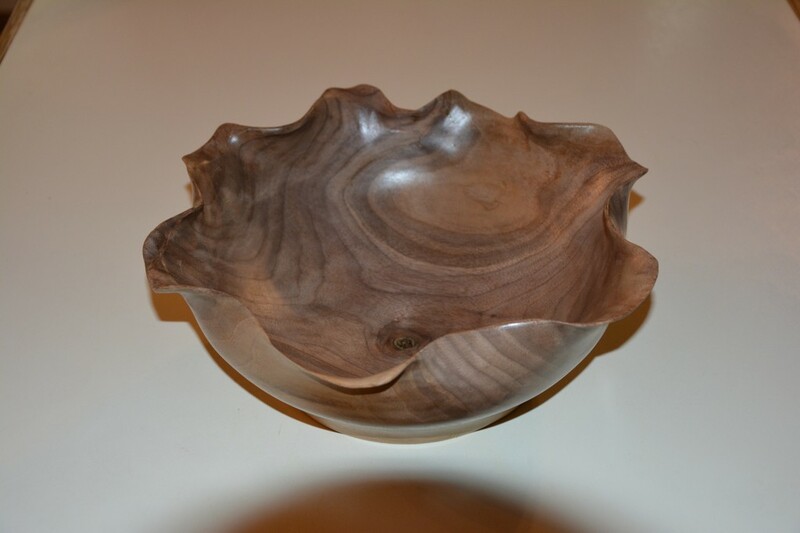 In addition to the demo, we'll be holding a raffle of woodturning-related items. Tickets  are $1 each or 6 for $5). If you have any items you wish to donate to the raffle, I'll chip in an extra raffle ticket for each item you donate - up to three items. Following the raffle we'll draw for the Turner of the Month item. Guests are more than welcome; no experience necessary. Come a few minutes early and enjoy conversation with fellow turners as well as a cup of coffee or a soft drink. For newer folks, Hunter House is located at 13428 Providence Road in Weddington, NC. If using a GPS, use Matthews as the town. It is about three miles south of I-485, Exit 57. Starting in August, our demos will be featuring a "Back to Basics" theme. We'll be discussing the tried and true methods of turning bowls, boxes, spindles and other items. If you are new to turning, or just want to brush up on your techniques, these demos are right up your alley. If you would like to be part of the Back to Basics demo team, let me know and we can work you into the rotation. We're especially looking for someone to demo spindle techniques. See you on the 5th. Hey there, WWTers. In just two short weeks we'll once again gather at Hunter House at 6:30 PM on Tuesday, June 7 for our monthly meeting. 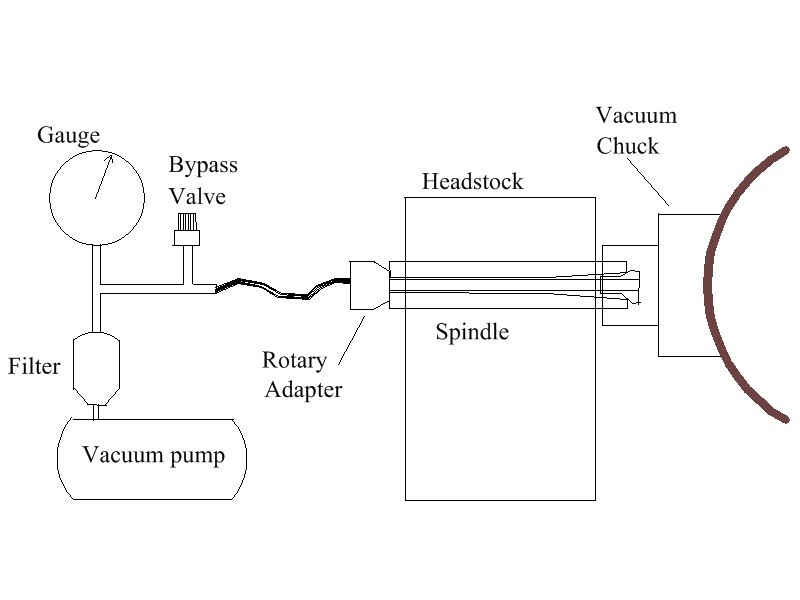 This month, Joe Giannina will demonstrate vacuum chucking and all the ins and outs of using these systems. Don't miss this opportunity to investigate an alternative work holding method. This is especially relevant to those who have problems finishing the bottom of work pieces. We'll also be doing the normal things once again: Show-n-Tell, Raffle (tickets $1.00 each or six for $5.00) and Turner of the Month drawing. If you have any excess turning tools or accessories or wood you cannot use, donate them to the raffle. For each item (up to three) that you donate, you'll receive one extra raffle ticket. Come early to partake in a cup of coffee or a soft drink and share your Woodturning stories with fellow turners. Guests are always welcome. If you know anyone interested in turning or learning to turn, bring them along. We're seeking demonstrators for the months of August through December. Remember, this is your club, so please don't hesitate to step up to volunteer to show us how turn your favorite items, demonstrate a new technique or show us how unique tools or jigs work. Finally, don't forget to put Saturday, June 18 on your calendar. We'll be turning Beads of Courage bowls for kids undergoing serious medical procedures. We'll start about 9:00 AM and hope to finish up around lunch time or shortly thereafter. Bring your best bowl gouges and finishing materials. We'll supply the coffee ☕️, doughnuts and bananas . This is a great opportunity for those who haven't turned a lot of bowls to learn how and to help a child cope with medical procedures. We'll have more info at the June 7 meeting. And finally, finally ... The annual AAW symposium in Atlanta starts Thursday, June 9 and runs through Sunday noon. Let me know if you plan to be three so we might be able to plan a group meal or two. I look forward to seeing y'all on the 7th. Hey there Woodturners. This month's meeting will be on Tuesday evening, May 3 at 6:30 PM. We'll meet at Hunter House (13428 Providence Road) in Weddington (if using a GPS enter the town name as Matthews). This month our featured demonstrator - direct from his Winter hiatus in sunny, warm Sarasota, Florida - is Moe Gingerich. Moe will show us how to decorate turnings using E-L-E-C-T-R-I-C-I-T-Y! The technique Moe will use is called Lichtenberg Figures or Lichtenberg Fractals. 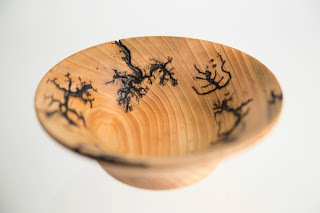 In a nut shell, attaching probes to a piece of wood and applying an electric charge produces a series of branch-like figures on the surface of the wood. See the attached photos for examples. This demo should be one of the more interesting demos of the year so far. Come early to the meeting to share your turning stories with fellow turners and have a cup-o'-Joe or a soft drink. We'll be holding the raffle as usual. Tickets are $1.00 each or five for $6.00. Bring unwanted tools or wood to put on the raffle table and earn an extra raffle ticket for each item you donate. After the raffle, we'll hold the Turner of the Month drawing. As a reminder, the Turner of the Month is the person who won the TotM drawing the previous month. If you win the current drawing, all you need to do is turn a small object of your choice and place in the box for the following month's drawing. Additionally, Rick Erexson is going to auction off a Delta Radial Arm saw. Bidding will likely be via email and will include Waxhaw Woodturners, Souther Piedmont Woodturners and Charlotte Woodworkers. Profits from the sale will be split between WWT and SPW. Many thanks to Rick for this. Rick will provide more details at the meeting -- won't you Rick 😉. And don't forget to bring your latest turnings to share with everyone during the Show-N-Tell portion of the meeting. We have an upcoming turning event as well this month. On Saturday, May 7 we will be turning small items, e.g., tops, boxes and honey dippers, for sale to help raise a few bucks for the club. We'll be at Hunter Farms (next to our meeting location) helping to celebrate the opening of Hunter Farm's strawberry picking season. We would really like to have as many Waxhaw Woodturners present as possible whether your turning or not. Bring some of your turnings to sell to the attendees - remember the next day is Mothers' Day so a lot of folks will be looking to those last minute, hard-to-find, unique, hand-made items for Mom. More details will be available at the meeting and in an upcoming reminder email. We are still seeking demonstrators for the months of July through December. Please share your talents with your fellow turners. If you are interested, please let Moe or me know. If you know of someone outside our club who I is interested in doing a demo, please let us know as well. And speaking of December, it is not too early to start thinking about becoming an officer or board member of WWT. Elections will be held at the end of the year for 2017 and will include the offices of President, Vice President, Secretary, Treasurer and board member(s). If you forget about this during the upcoming months, fear not. We'll be sending our periodic reminders and talking about this in the upcoming meetings. I hope to see y'all at the meeting on the 3rd. How often we have wanted to make a nice thread that works. We can chase them by hand and get frustrated when it just doesn't seem to slide as we like. Or get something fancy that seems too expensive. Or come to this demo! How and Why will all be answered by the Duelling Jig Demo Team on April 5, 2016 Come out to learn all you need to know. Each one has promised you will be able to thread your wood boxes properly or it won't cost a bit. Starts at 6:30, come early for a Cuppa (it's free! ), some good woodturning friends, more knowledge that your can recall, and a good WWT Raffle. Bring a nice piece of wood or a tool you no longer use to share with someone that needs it so bad they can taste it! 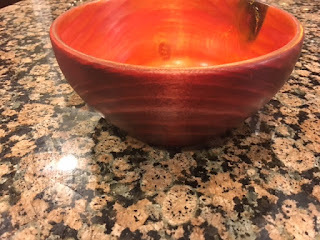 Bring that nice piece you made to show to others. Yes! We want to see your expertise or your very first turned item. Come and get inspired with new ideas and tips from others. We are all helpful folks that love to share. Parking is still free. Tips are available for whomever attends -no kidding. Be sure to congratulate him and check out his pieces. Come and watch the chips fly! Encourage a new turner-that's what it's all about. 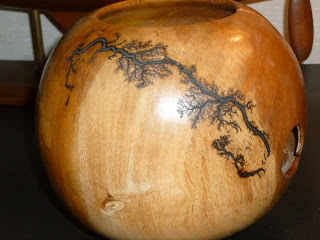 The March demo is going to be by Walt Hazelrigg who will show us turning then colourizing a bowl. 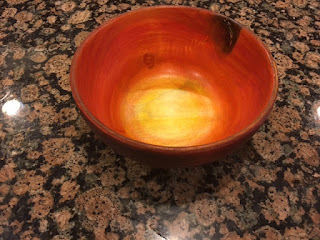 Walt was the Turner of the Month at Concord in January and our Fearless Leader Sir John Walsh was fortunate enough to win the turned and dyed bowl he made. Here are some photos of the bowl Sire Walter made. Sir Walter is usings a number of creative application along with Mrs. Sir Walter. Sure do Hope Kathy comes along and contributes. She is what makes Walter tick! Now a fair warning is in approriate here: You may get hit with creative ideas if you come to this unique demonstration. When exposed to artistic endeavors you may be at risk of getting bit by the bug. At least you can rest assured that it is not detrimental to your health even if it could be come a terminal conditon. For sure, woodturning is a terminal problem for me. I will need to be involved in this creative outlet for the rest of my life!! It is a good condition to have giving great staisfaction to all who are bitten. to have that device and will almost kill for it. Arrive a bit early for a Cuppa, and some sharing and camaraderie. "Hey, Donald!" "Yo, Daffy!" "Psst, Howard." 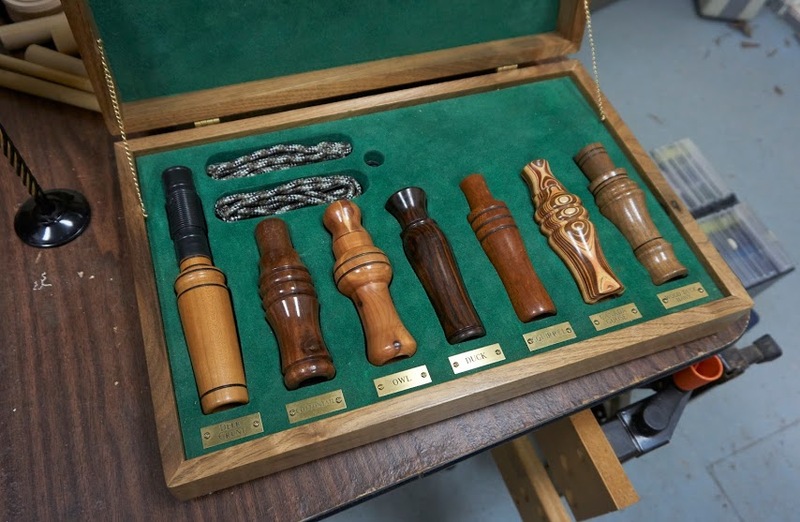 February 2 Jack Reyome will be showing us how he makes duck calls. add it to the table. made from and how you turned them. with the Waxhaw Woodturners logo, I'll be taking orders. the denim shirts; $3.00 extra for sizes above 2XXL). I'll be bringing a sign-up sheet for demos for the rest of the year. Space must have been limited-just enough for one seat!!!! the facilities at Hunter House and the mini-lathes the the club owns. well as assistants to help the students at the minis.